Indian Software giant Infosys technologies is all set to formally inaugurate its largest campus in Hyderabad, the twin capital to Andhra Pradesh and newly formed state Telangana. Currently Infosys has large campuses in home city Bangalore, a training and development headquarters in Mysore and offices in Chennai, Pune and Hyderabad. However, the Hyderabad campus will be the biggest yet. Infosys in a press release has stated that the new campus in the Pocharam area would be spread over 447 acres, with a seating capacity of 16,000 employees and will be built with a total investment of Rs 1,250 crore. The construction would be completed in three phases over a period of ten months. One of the most salient features of the campus will be that it would meet 100% of its electricity needs from renewables. With this launch, combined with the existing 0.6 MW capacity rooftop solar plant, the Infosys campus in Pocharam will be one of the first corporate campuses in India that will be run completely by renewable energy. This initiative is expected to reduce the company’s CO2 emissions by 9,200 tons. In other news, Hyderabad has been receiving a lot of attention for housing campuses of various MNCs and Indian companies. US MNCs Google, Amazon and Uber have all announced plans to establish their largest non-US offices in Hyderabad, while Flipkart recently opened its biggest fulfilment centre in the pearl city. 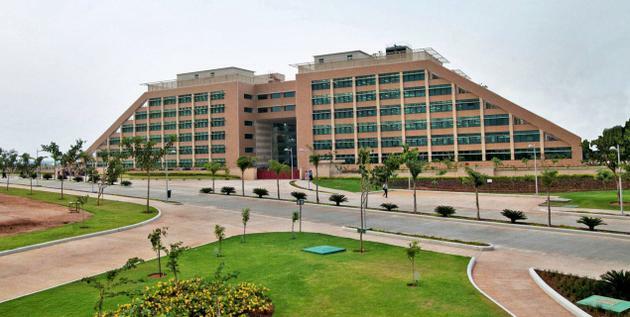 TCS, India’s largest IT services company, also recently opened its largest development centre in the city. The cyber city, next only to Bangalore in terms of the presence of IT companies and large corporate campuses, has also received government’s attention with the launch of T-hub, an accelerator hub for startups. Proximity to Bangalore, good infrastructure, low commercial rents and a government with favourable policies for encouraging companies have been touted as the reasons Hyderabad has been finding favours with corporations, Indian and global alike.